What an unexpected (and AWESOME) surprise! The good people at Maybelline New York sent me over an early Christmas present. 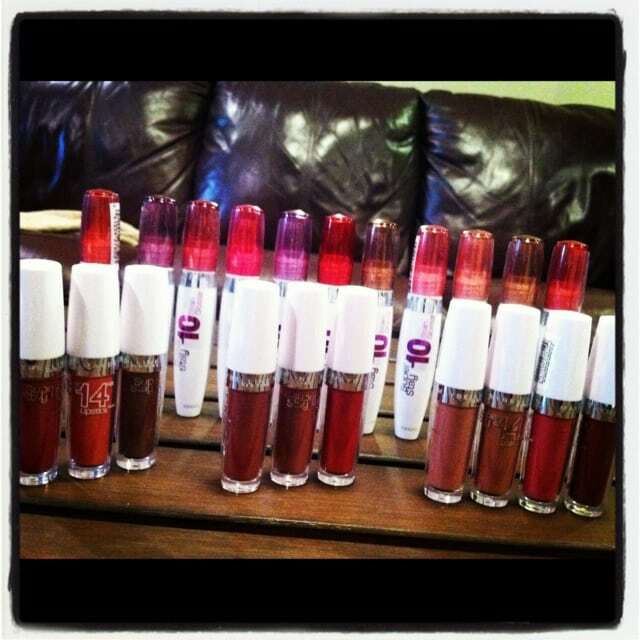 Their entire makeup line – including all of these fab lipsticks and stain glosses. I started with the lipsticks and it’s a good thing I did because as soon as I tried one of the stain glosses… well… it stained my lips. I couldn’t believe how quickly it happened. Now, I have to wait to try that back row, but I have a few cousins coming over who I am sure would love to test drive with me. Let’s first start with the SuperStay 14HR Lipstick. Usually when you put on long lasting lipstick, it feels caked-on. Well, not this line! It’s lightweight and still has a punch. The Color Keep technology prevents your lipstick from drying out, fading or flaking. Woot! Woot! The SuperStay 14HR Lipsticks are available at mass retailers starting January 2012 for $8.99. 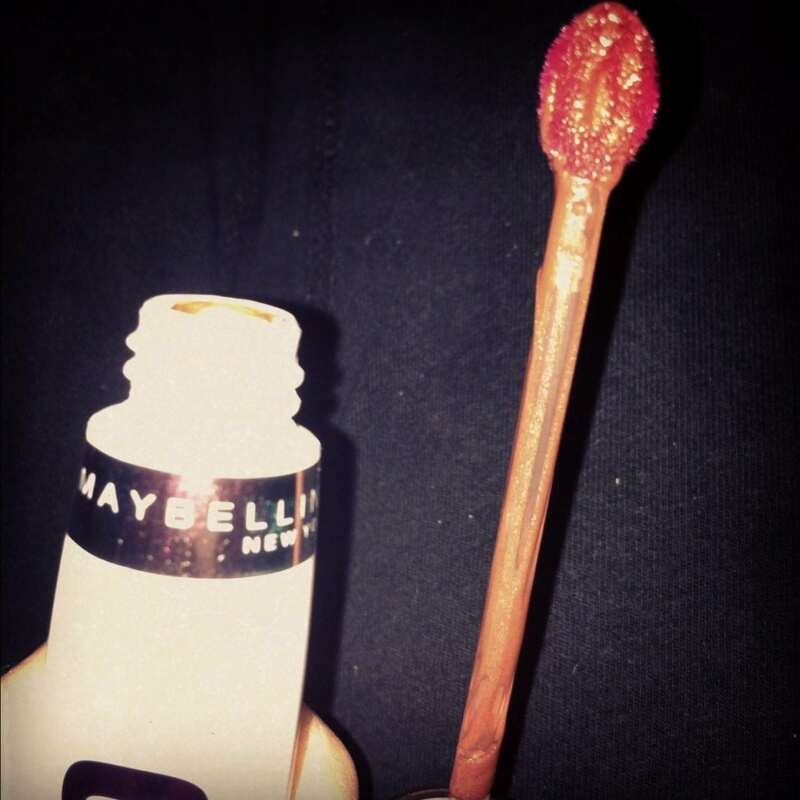 Next up is the Maybelline New York SuperStay 10HR Stain Gloss. I can promise you that this stuff works. REALLY works! This gloss offers up shine, lasting color, and a weightless feel. This puppy glides on smooth and will not dry out. The wand is something that really caught my attention. At first, I didn’t like the O-shaped wand, but once I applied the gloss it made so much sense. Such an easier shape to manage! Maybelline’s SuperStay 10HR Stain Gloss will be available in January of 2012 for $8.99. Previous Post: « Saved 64% Off My Grocery Bill This Week – Here’s How!